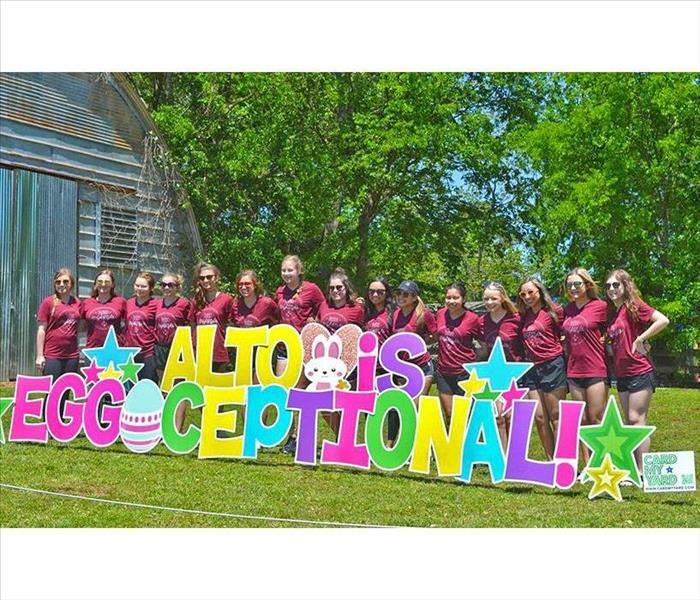 A tremendous outpouring of LOVE for the Alto Community! 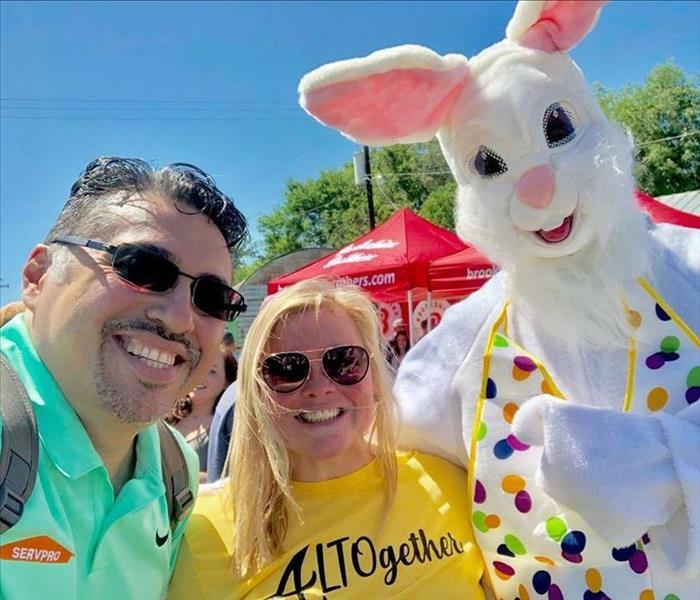 Candice Stott , The Hudson Highlights Drill Team and an entire community of volunteers put together this amazing afternoon filled with fun, food and a Super Easter Egg Hunt!!! THANK YOU SO MUCH EVERYONE!!! 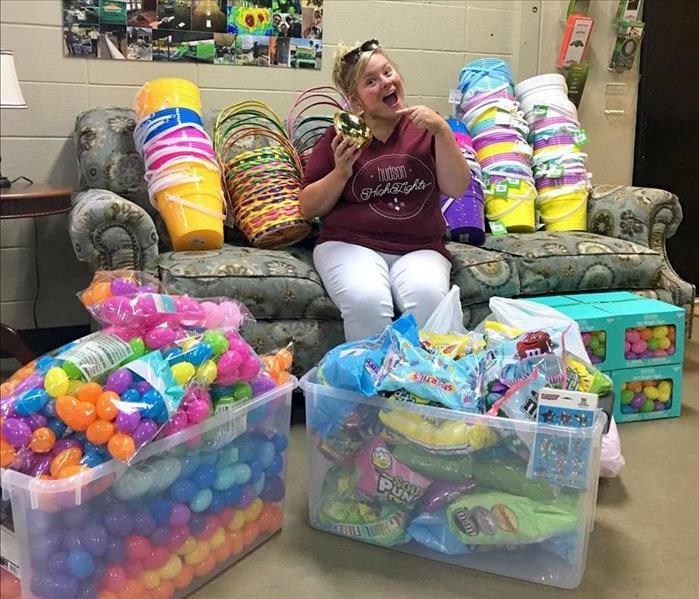 Lots of great friends delivering plenty of fun stuff for the Easter Egg hunt! 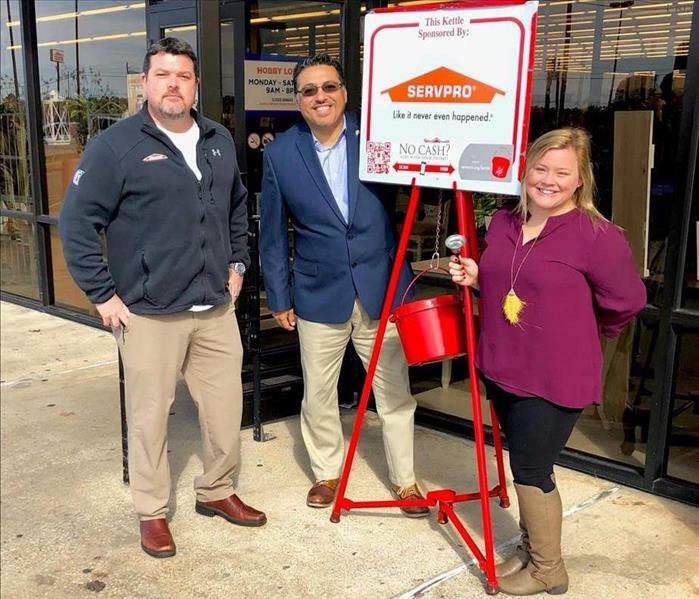 Proudly supporting a great cause and super excited to ring the The Salvation Army of Lufkin Bell!!! 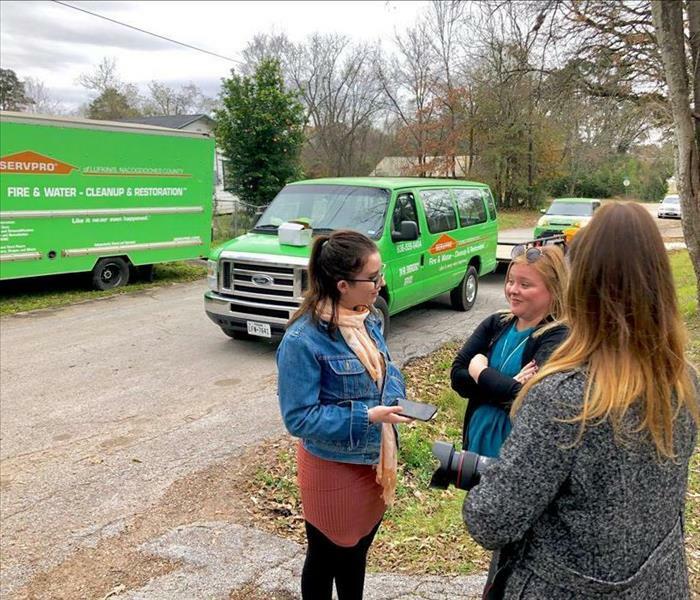 Candice Stott being interviewed by The Lufkin Daily News about ways to help the community. Our teams partnered up to helped clean-up several homes in North Lufkin with Neighborhood STRONG. 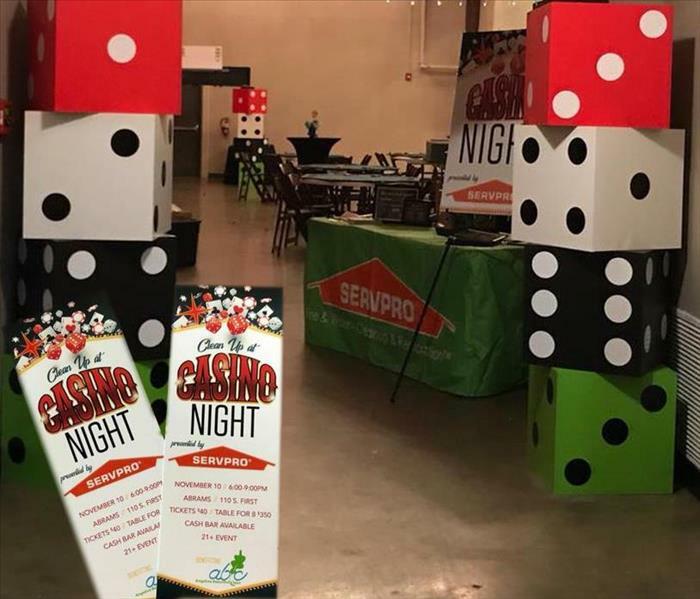 SERVPRO of Lufkin / S. Nacogdoches County sponsored Casino Night put on by Angelina Beautiful Clean. 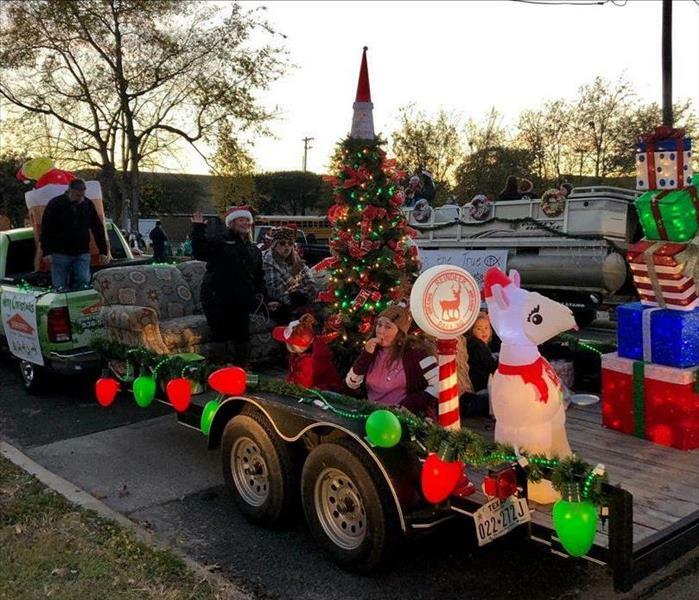 SERVPRO of Lufkin / S. Nacogdoches County joined in the Christmas Parade fun to kick-off the Holiday Season! Congratulations Kristopher King Farmers Insuranceon another WINNING season! Happy to be your sponsor and happy to get another TROPHY! 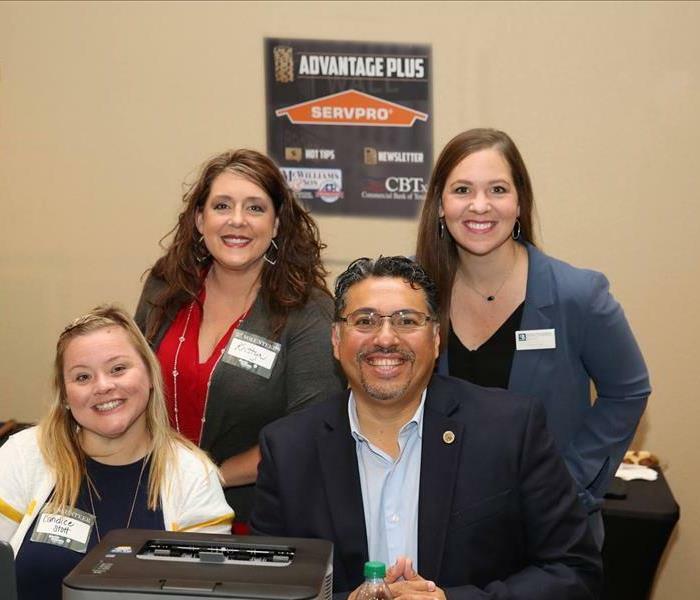 SERVPRO of Lufkin / S. Nacogdoches County was happy to be one the sponsors for "A night on Wall Street Stock Market Challenge". 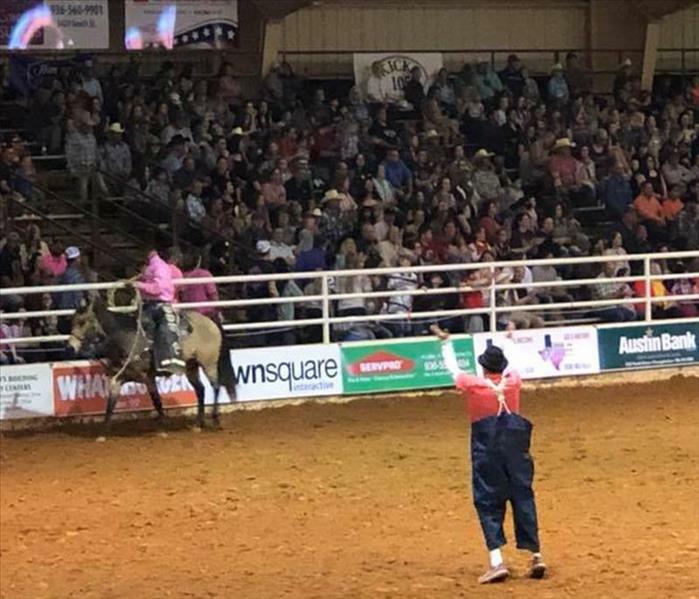 The Junior Achievement of Angelina County put on a fantastic event with with the live stock market event! Habitat homeowners help build their own homes alongside volunteers. 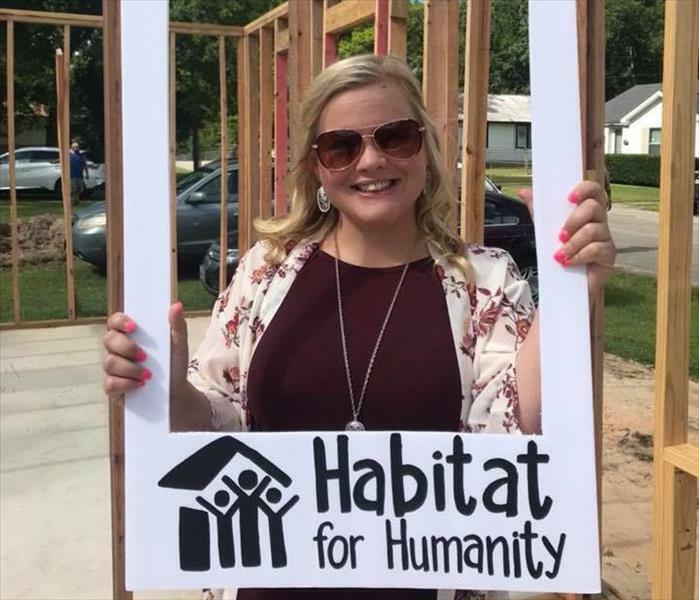 Habitat for Humanity of Angelina County partners with people in our community to help them build a place they can call home. 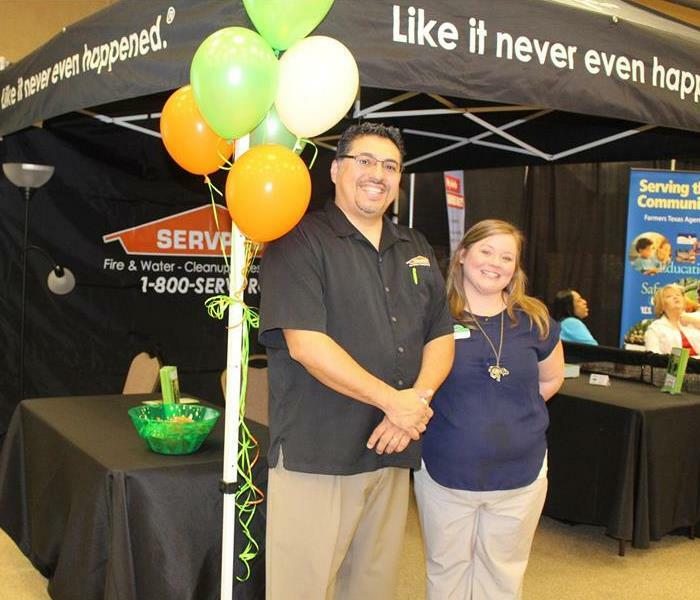 SERVPRO of Lufkin / S. Nacogdoches County helps Lufkin ISD celebrate the new school year with its Annual Convocation. 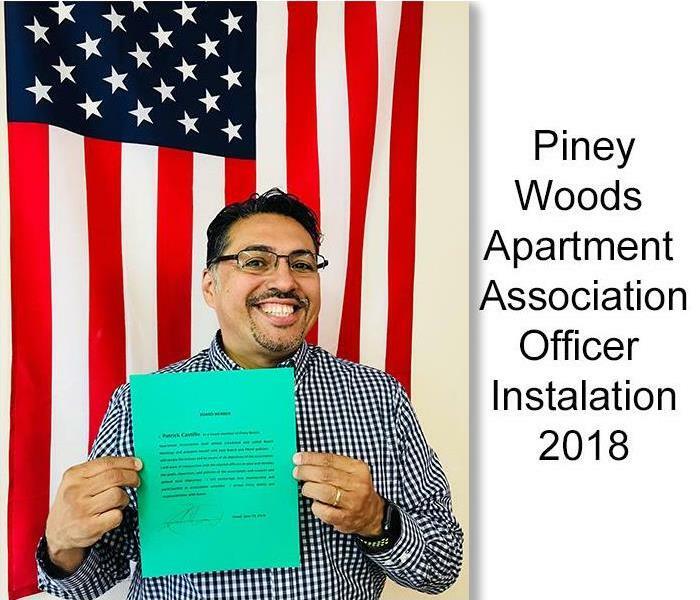 Proud to serve on the Board of the Piney Woods Apartment Association ! 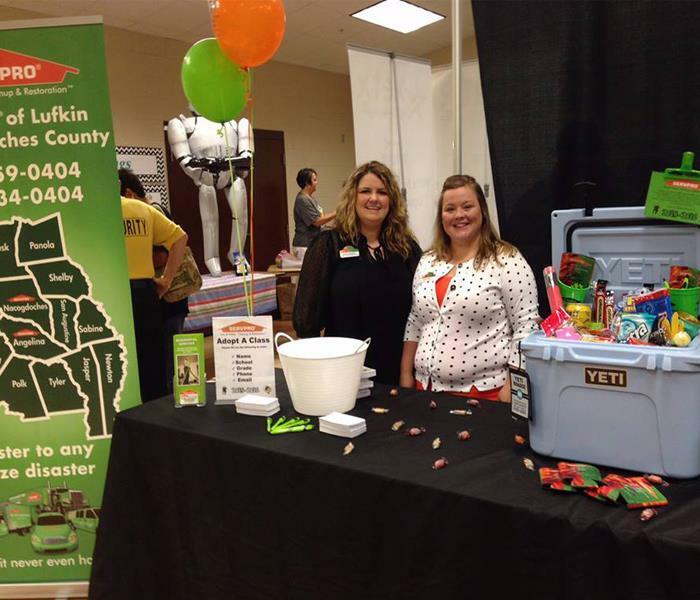 Had a great time at the Piney Woods Apartment Association Vendor Trade Show and Officer Installation! Congratulations to all of our WINNERS!!! 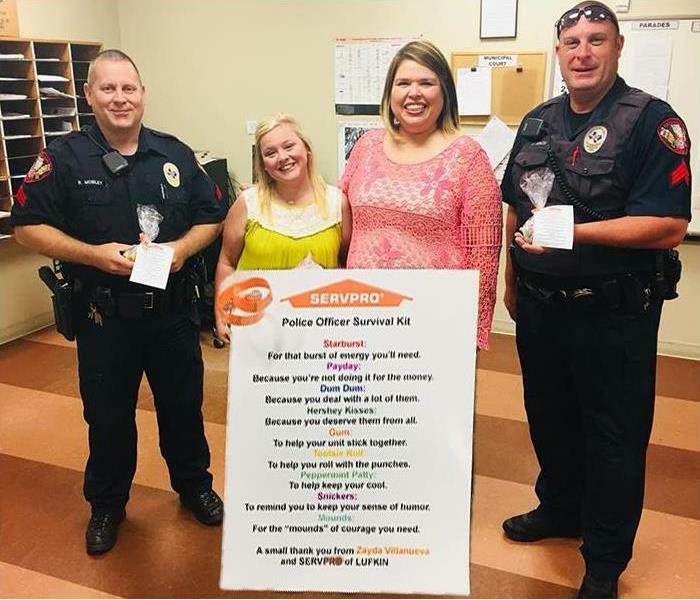 Giving back to the men and women in Blue who keep us safe. 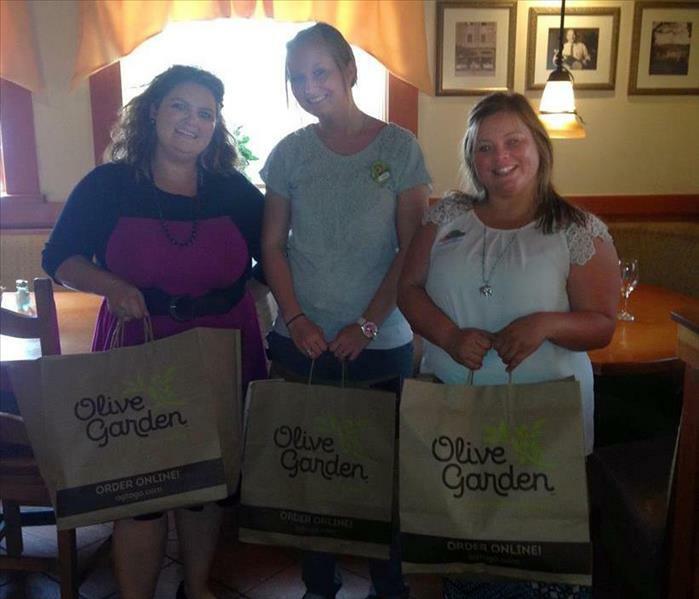 Treating the Teachers to some fun Give-A-Ways! 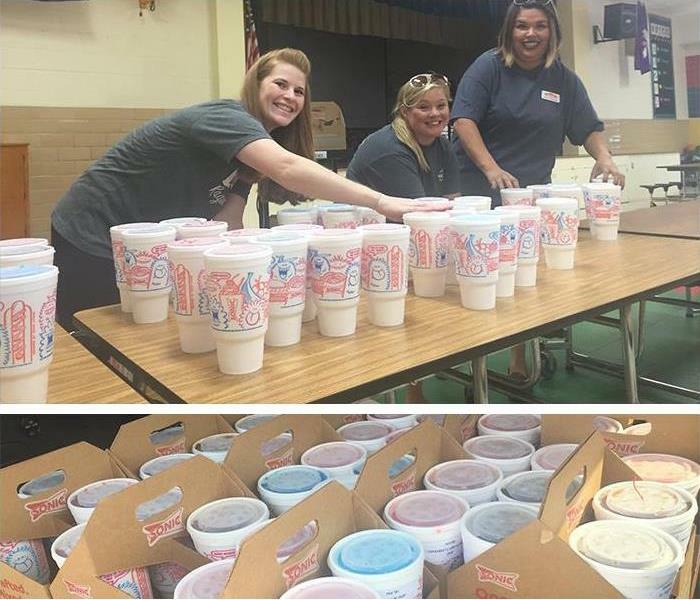 Treating all the teachers and staff to their favorite Sonic drink! Providing lunch to show our appreciation for our State Farm business partners and their customers. 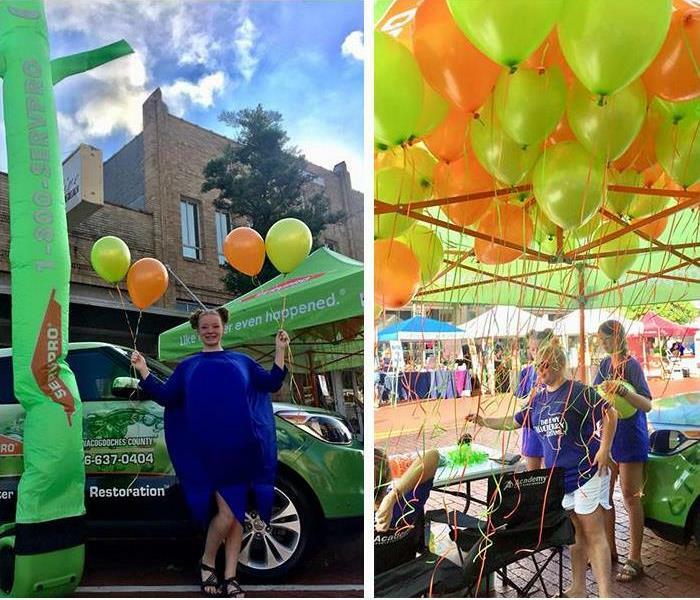 29th Annual Texas Blueberry Festival presented by Tipton Ford Lincoln on June 9, 2018 in downtown Nacogdoches! The Texas Blueberry Festival is a delightful day of the America you dreamed still existed. ... And the only state-sanctioned blueberry festival in Texas! 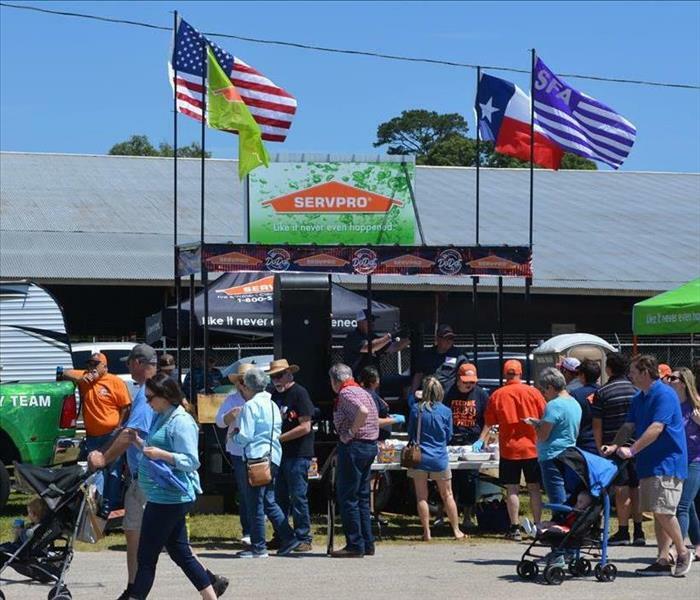 SERVPRO of Lufkin/S. Nacogdoches County is recognized for outstanding performance in 2015 & 2016! 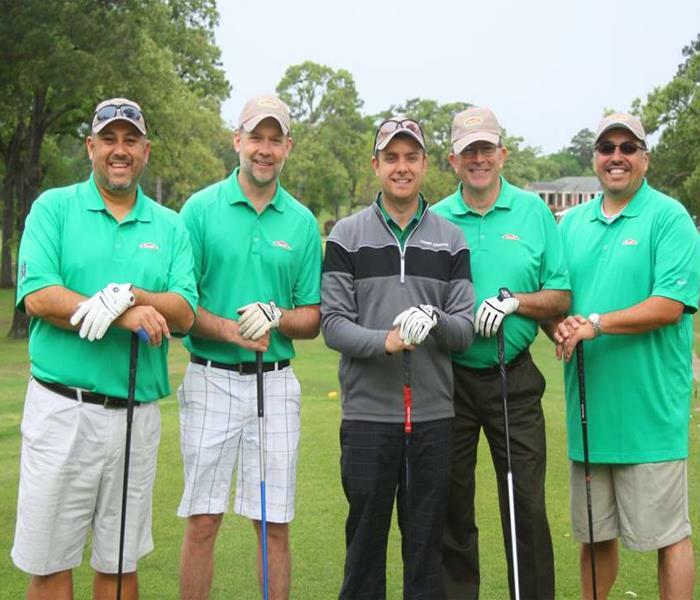 Another great day on the links with the SERVPRO golf team! Candice Stott is part of the Diplomats Committee. 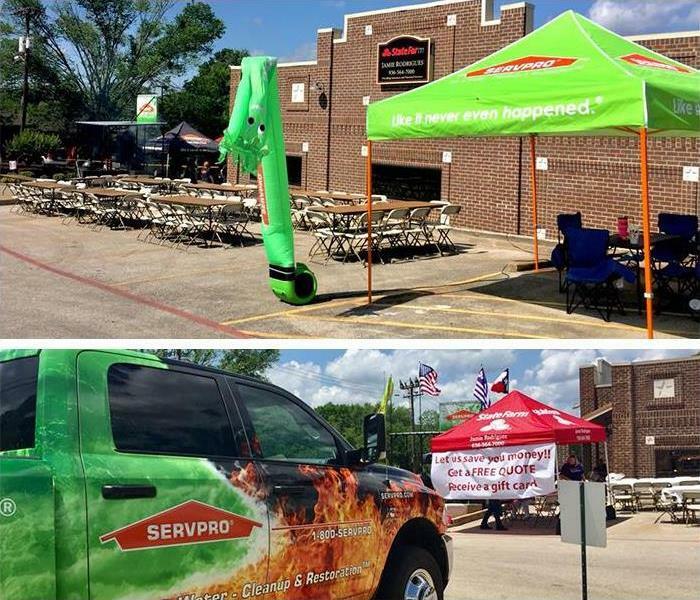 SERVPRO of Lufkin/S. Nacogdoches is proud to be the Plaque Sponsor for the Lufkin/Angelina County Chamber of Commerce Members Ribbon Cutting presentations! Congratulations Oakstreet Capital Management Advisers. Stop by and see them for your financial advising needs. 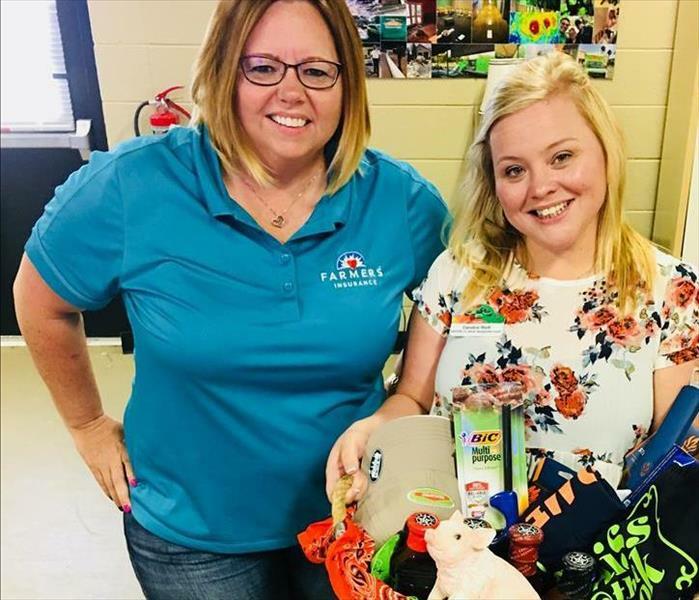 Everyone's favorite SMR Candice Stott had a blast putting this BBQ gift basket together and presenting it to Selena Mitchell Farmers Insurance . 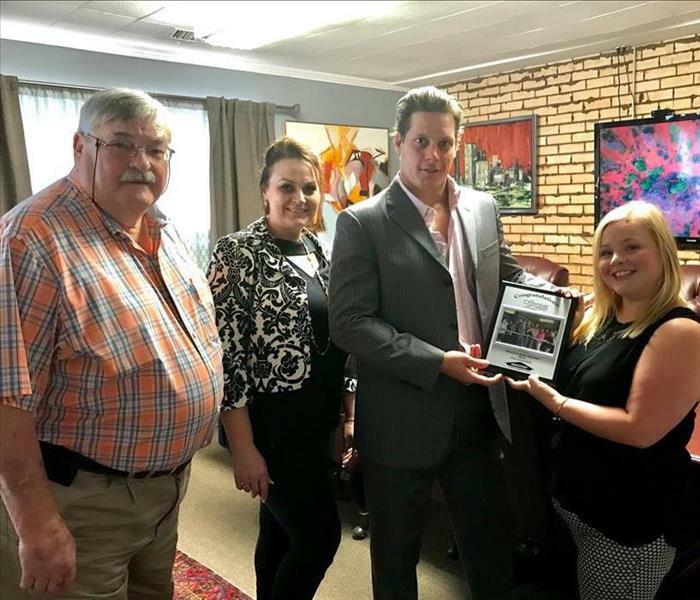 Our Sales & Marketing Representative, Candice Stott was featured in the Lufkin Daily News Progress 2018 section which highlights people in our community who make an impact. Fun and busy weekend... 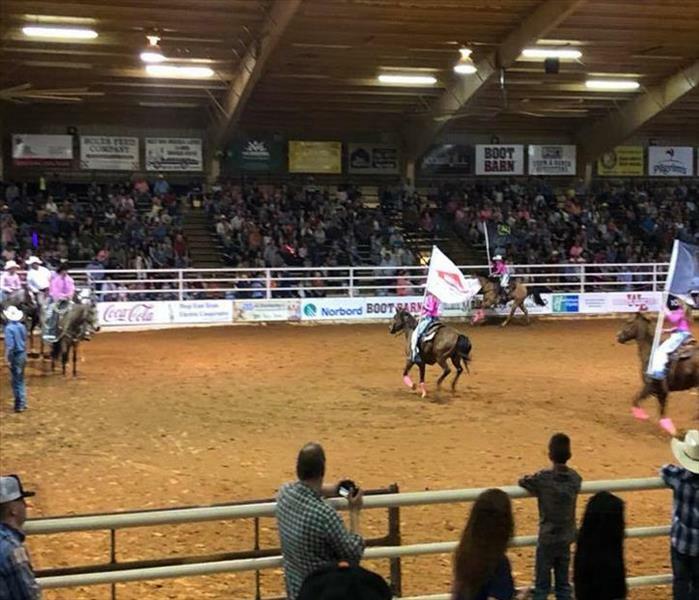 Proud to again be the Arena Dirt sponsor at the Nacogdoches Pro Rodeo & Steer Show!!! Great time co-sponsoring today’s Nacogdoches County Board of REALTORS luncheon! 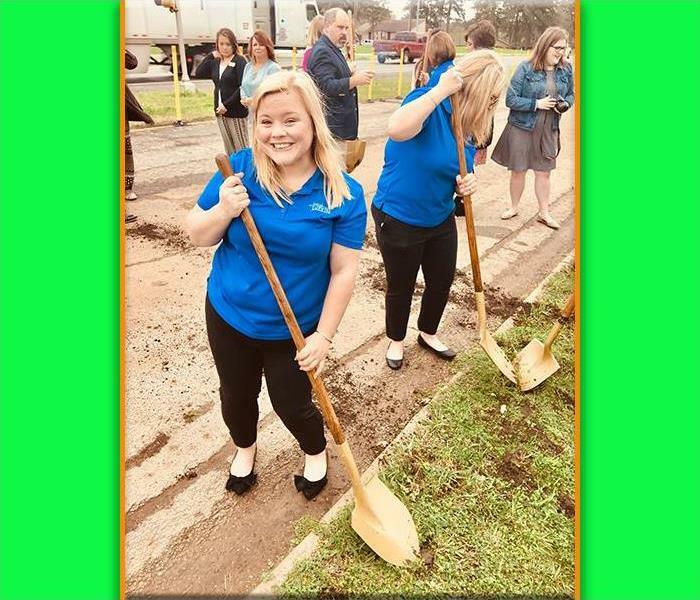 Candice Stott and the Leadership Lufkin - Class 36 had their groundbreaking today at Angelina College. This was a tremendous and successful undertaking for the class. 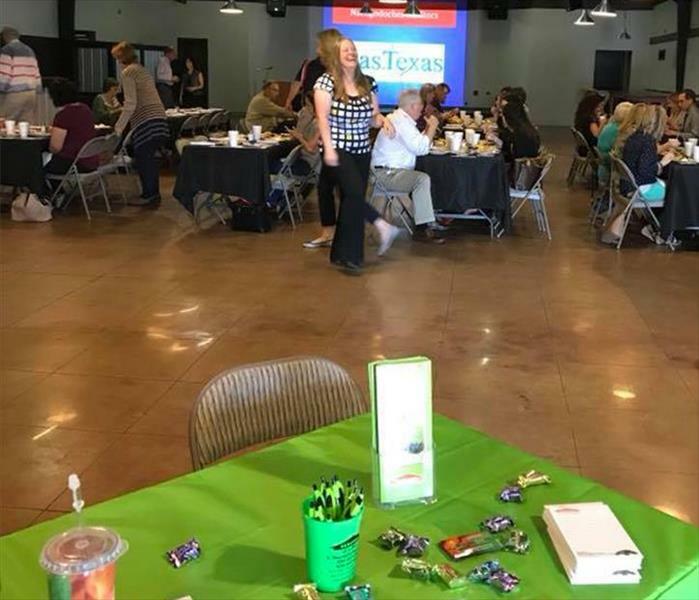 Hosted by the fantastic staff of the Lufkin/Angelina County Chamber of Commerce, year after year they continue to challenge the best and brightest. So very proud one of our own Candice Stott was instrumental in making it happen! Way to Go!!! 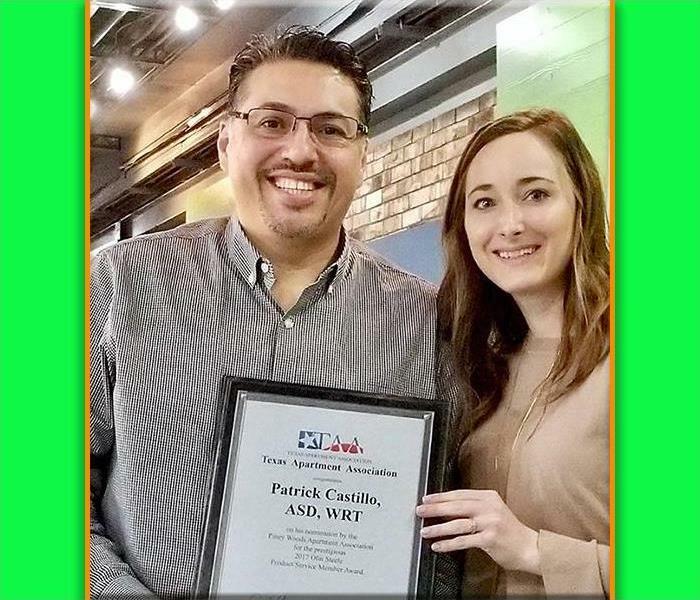 Our Marketing Manager, Patrick Castillo is honored to be nominated by the Piney Woods Apartment Association and Texas Apartment Association for the Olin Steel Award! Thank you so much! 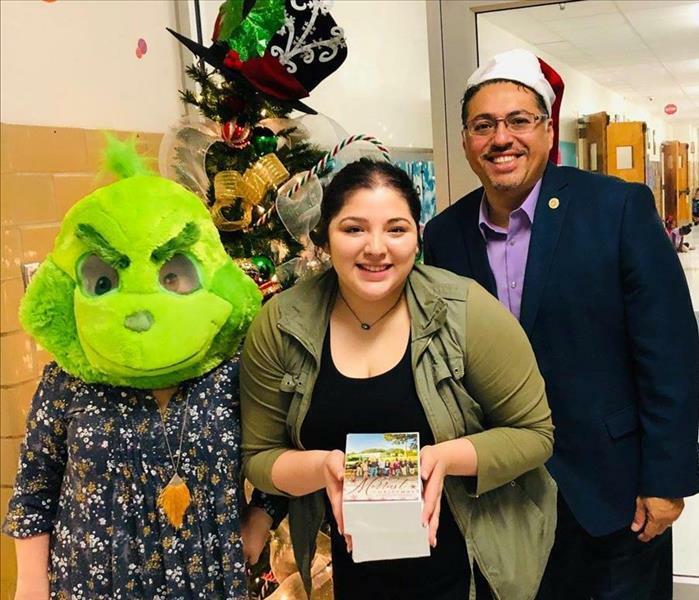 Zayda, one of our team members, was able to go and bring some Christmas cheer to Meadowview Place. She brought bingo and refreshments to the residents and had a great time. 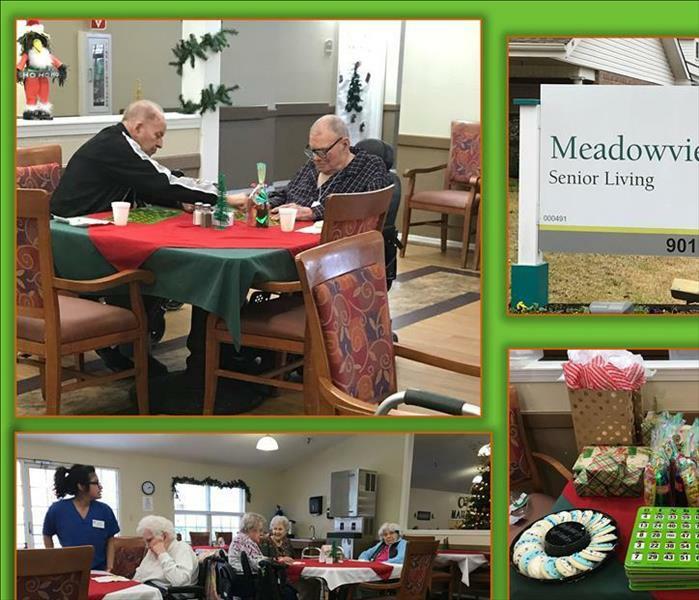 SERVPRO is proud to support our senior community! 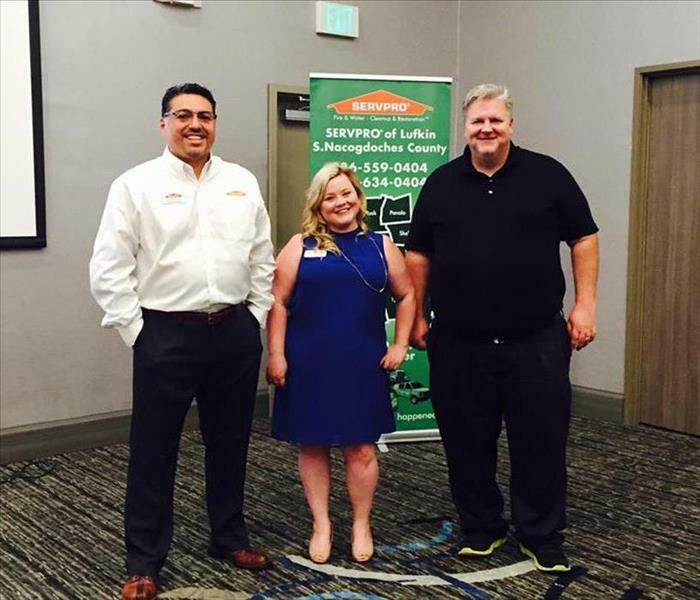 SERVPRO of Lufkin/S. 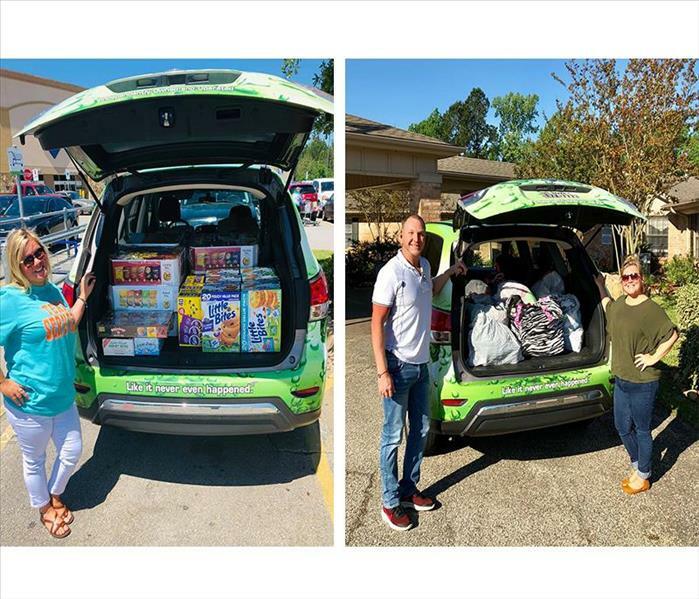 Nacogdoches was given the opportunity to sponsor The Helping House’s 2017 Aloha Hustle. 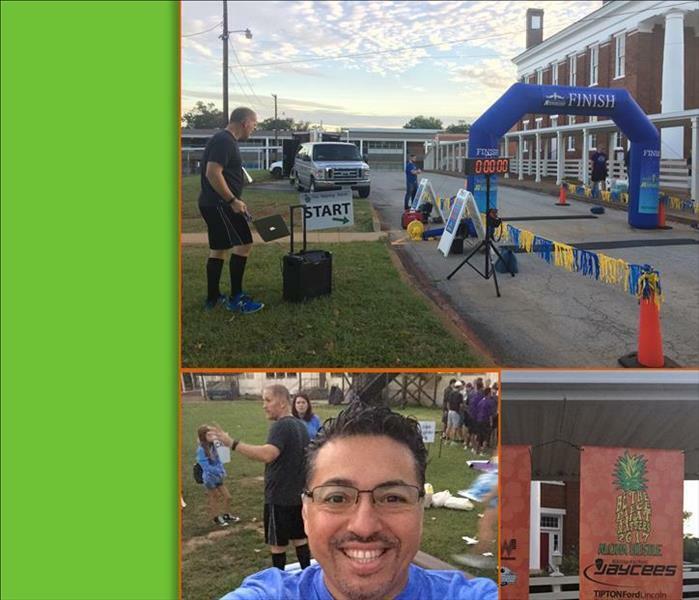 The Aloha Hustle is a 5K that is run throughout the historic streets of Nacogdoches. 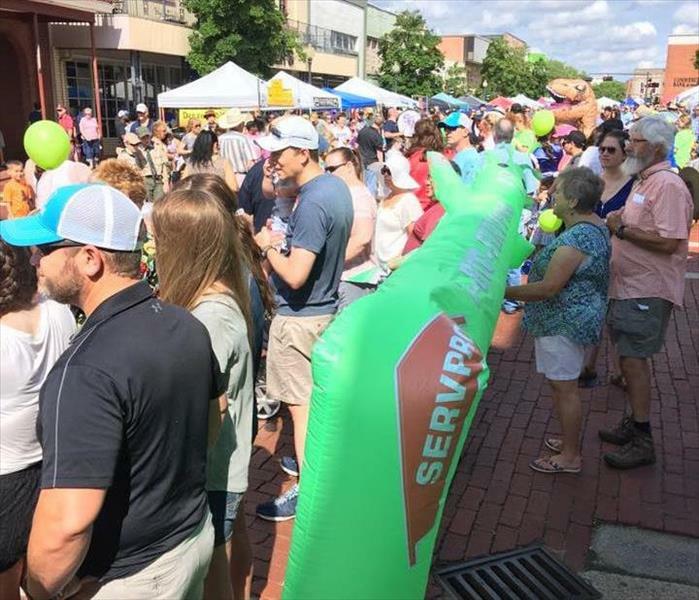 The proceeds of the run go to help children in our community who are struggling with autism, and SERVPRO is proud to support all of our Nacogdoches community! 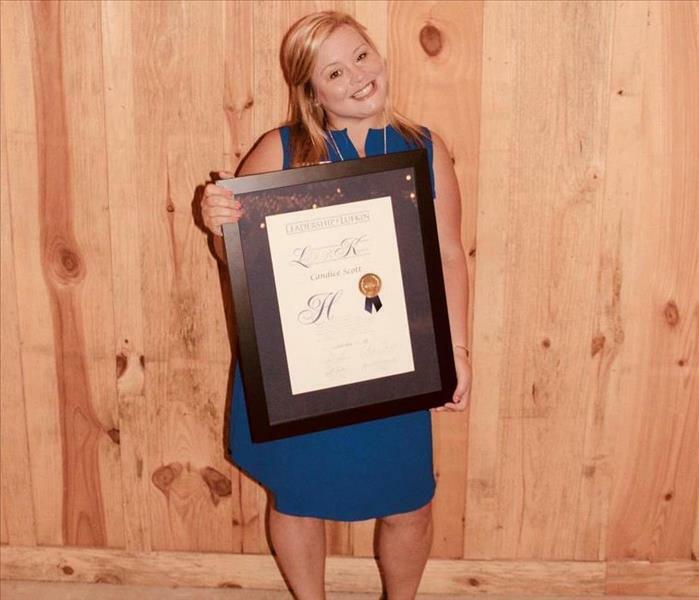 Our very own Zayda is the Nacogdoches County Chamber of Commerce Member of the month! 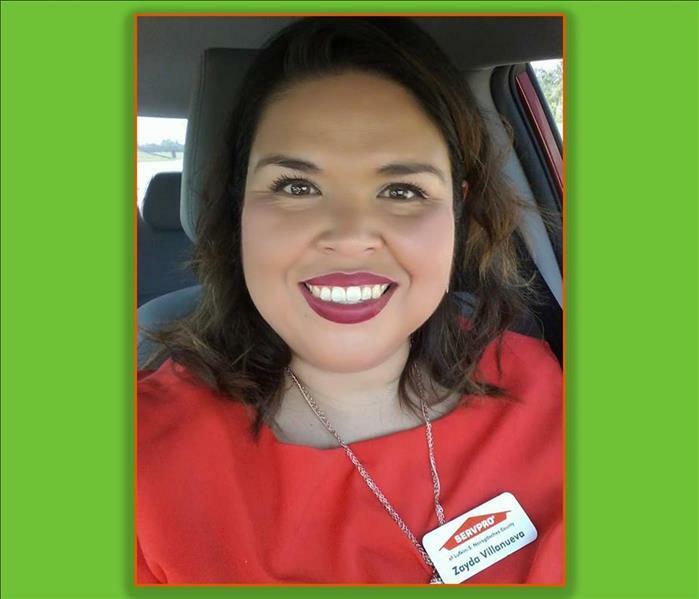 Make sure you ask her how SERVPRO of Lufkin/S.Nacogdoches County can help you today. 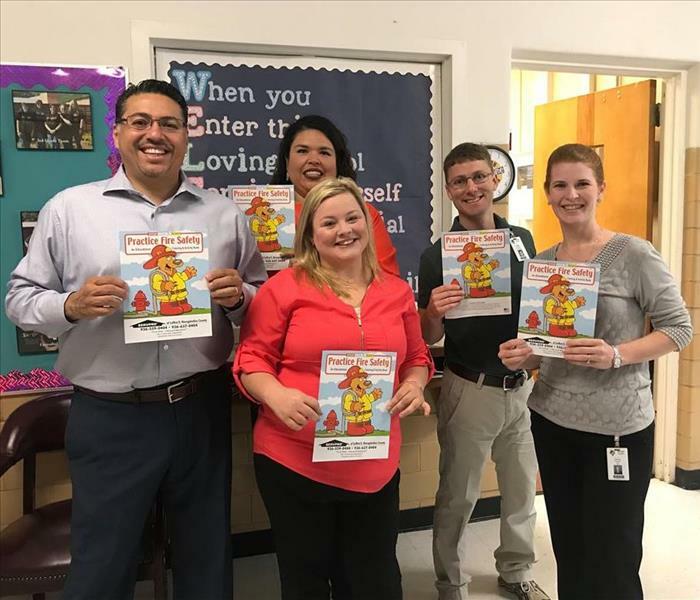 Patrick Castillo, Candice Stott, and Zayda Villanueva went and delivered educational coloring books, that were Donated from SERVPRO to Raguet Elementary School. The books provide young children with a little more knowledge on proper fire safety and fire safety protocols. The company slogan may be "Like it never even happened." 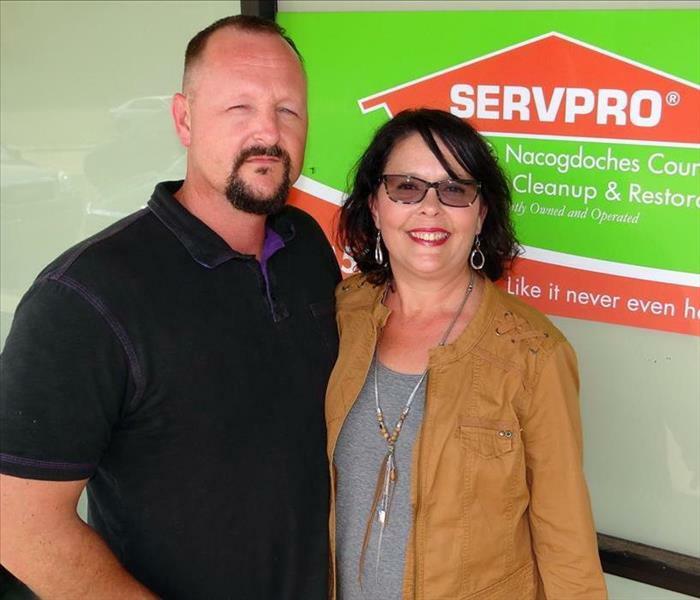 but Nacogdoches residents and businesses have seen a large number of good things happening since Brad and Jayna Hammack opened SERVPRO® of Lufkin/S. Nacogdoches County. The business has earned numerous awards and recognition from the company's corporate and district levels, including the Million Dollar Club - Rolex recipients in 2013; Featured Franchise for Texas and Louisiana; 2014 Storm Team of the Year; and the franchise was ranked in the top 150 in the United States and Canada out of approximately 1,800. In 2016, they achieved the highest volume of annual sales and earned the company's Chairman's Silver Award. 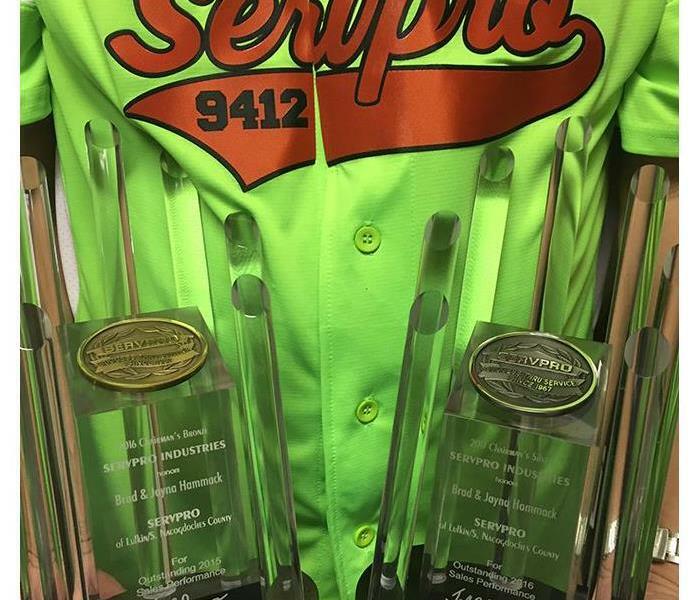 In addition to these outstanding awards, the Nacogdoches County Chamber of Commerce is proud to name SERVPRO® of Lufkin/S. Nacogdoches County as Small Business of the Year, a Gary Justice Business Excellence Award sponsored by Heritage Land Bank. The company will be recognized at the Chamber's 96th Annual Meeting & Awards Banquet presented by The Fredonia Hotel and Convention Center. 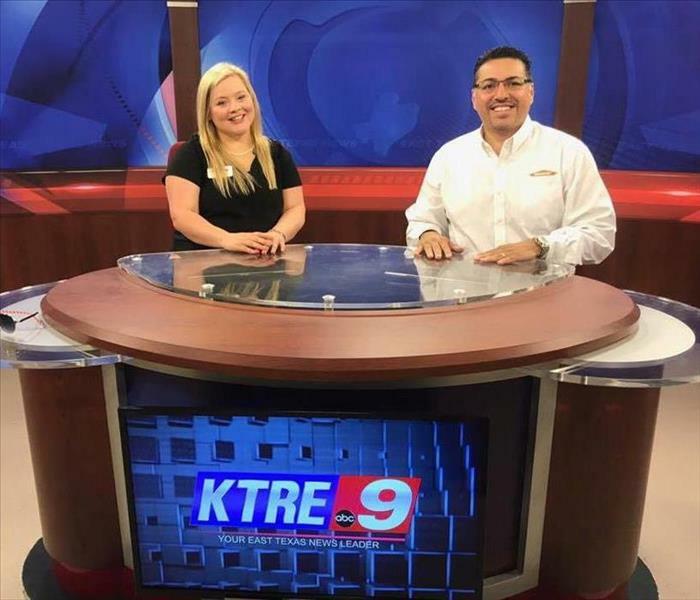 Patrick and Candice enjoyed playing News Anchors on the new set of KTRE, our local ABC affiliate. We are grateful for their dedication, day in and day out to bring us the news and weather. 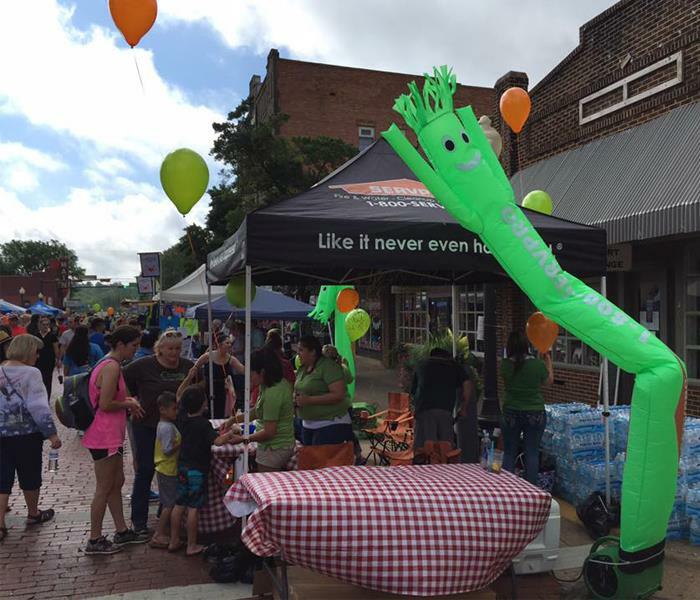 The 28th Annual Texas Blueberry Festival was held June 10, 2017 in downtown Nacogdoches! 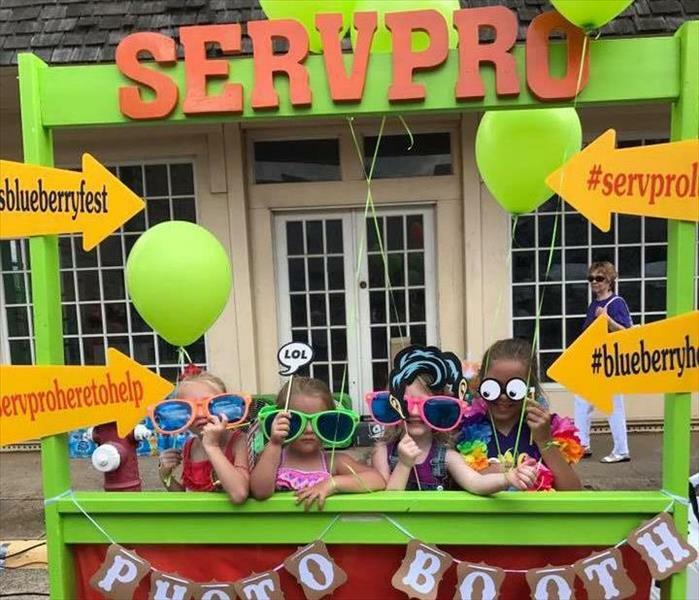 SERVPRO of Lufkin/S.Nacogdoches Co. debuted our photo booth to a huge success! We handed out Polaroid pictures and gave away prizes to lots of smiling faces!!! 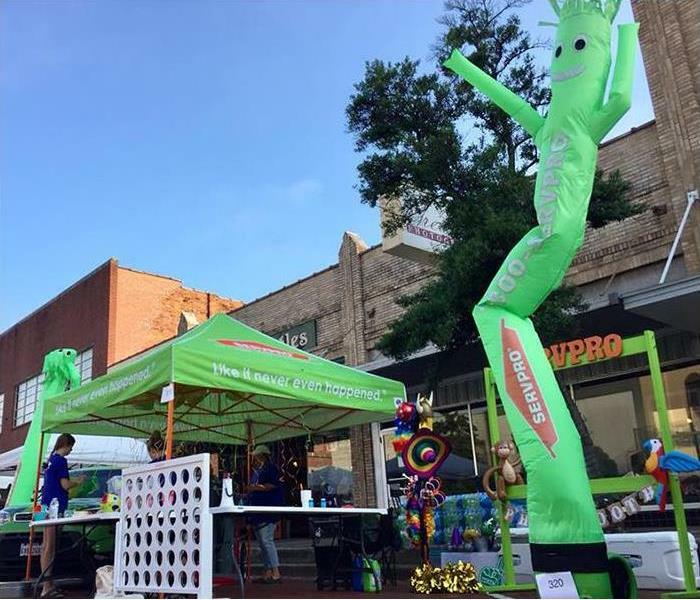 Everyone loved dancing with the SERVPRO of Lufkin/S.Nacogdoches Co. air guy aka "Groot"!!! 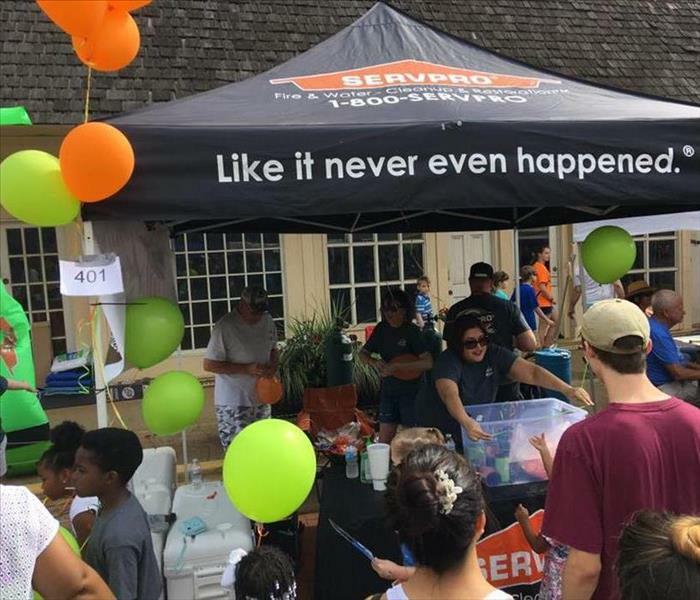 SERVPRO of Lufkin/S.Nacogdoches Co. was there and gave away cold water and more than one thousand green and orange balloons!!! 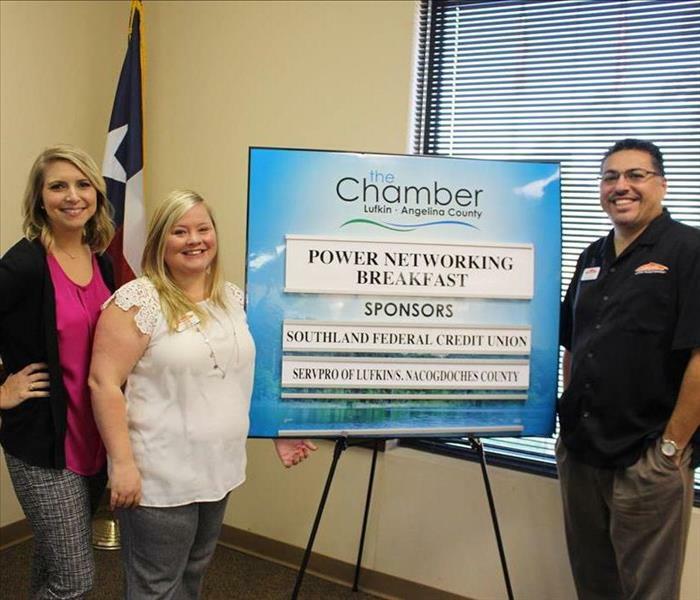 Thank you Lufkin/Angelina County Chamber of Commerce for the opportunity to speak at the Power Networking Breakfast. And thanks for the great pancakes Tori Jones....Always a fun way to kick off our Friday morning. 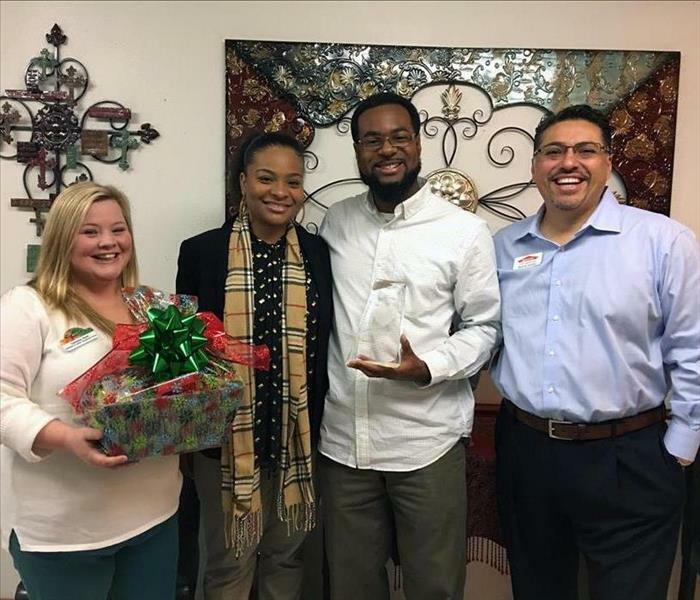 Congratulations to our Servant Heart Award recipient Kendrick L Morris with Harvest Family Worship Center of East Texas! Your congregation went above and beyond showing their love and support for you. Blessings to you, your beautiful family and your faithful congregation. 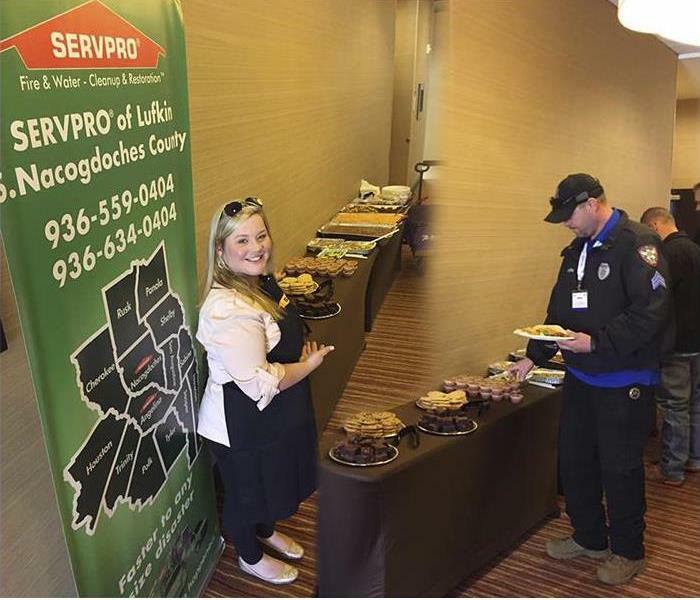 SERVPRO of Lufkin/S Nacogdoches County is happy to Back the Blue with serving lunch today! Thank you Crime Stoppers for all you do to support our community! Thanks Skyline Burrito Bowls for always doing a great job! What an amazing and humbling evening spent with Nacogdoches ISD Inspire Awards Banquet 2017! We are so blessed to be part of this family and to receive the Dragon Community Partner of the Year Award. 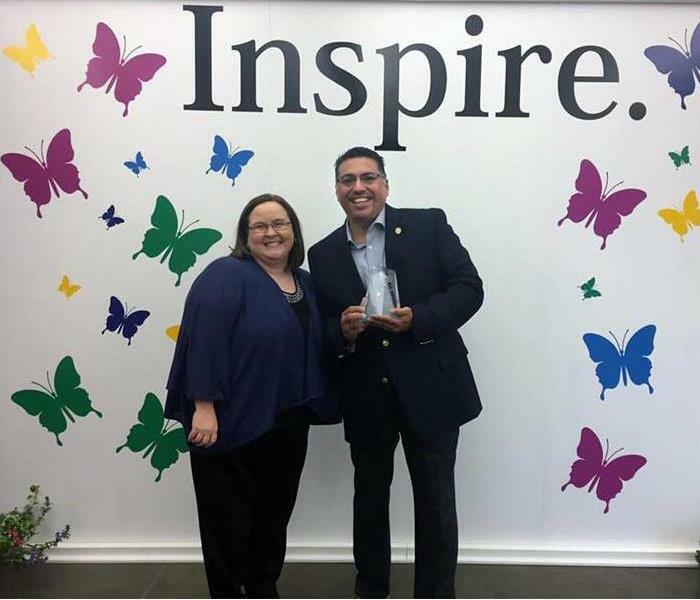 Julia Wells Principle of Raquet Elementary presented the Award to Patrick Castillo representing SERVPRO of Lufkin/S. Nacogdoches County. Call us today to schedule your free evaluation! 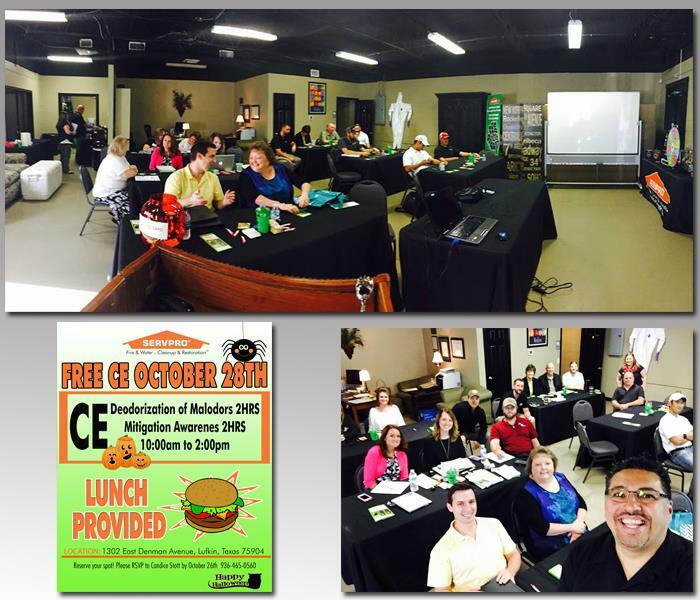 We are so excited for SERVPRO of Lufkin/S. 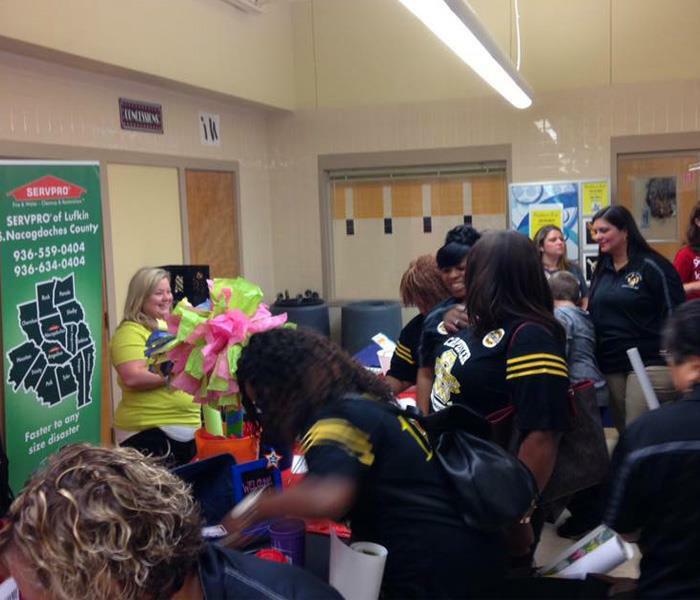 Nacogdoches County to volunteer at Diboll Junior High School next week! 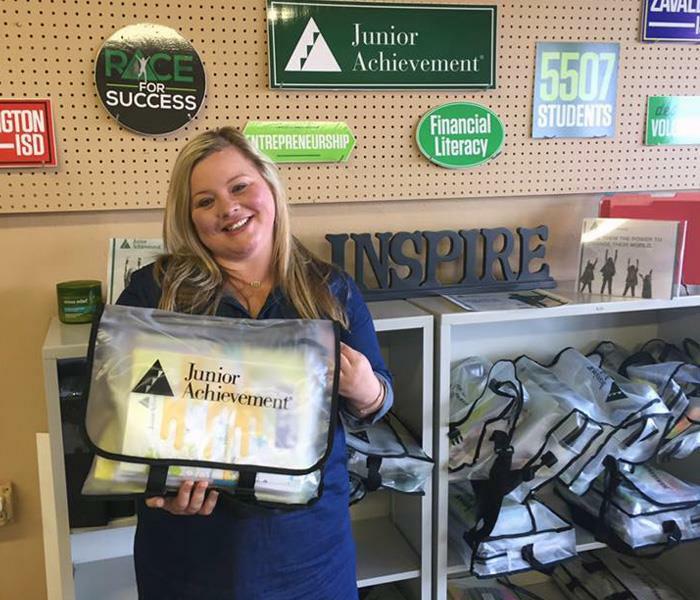 Thank you Candice Stott for presenting Junior Achievement's program of "It's My Future" and helping these great students prepare for the working world! The Lufkin ISD Convocation was attended by all of the district employees. 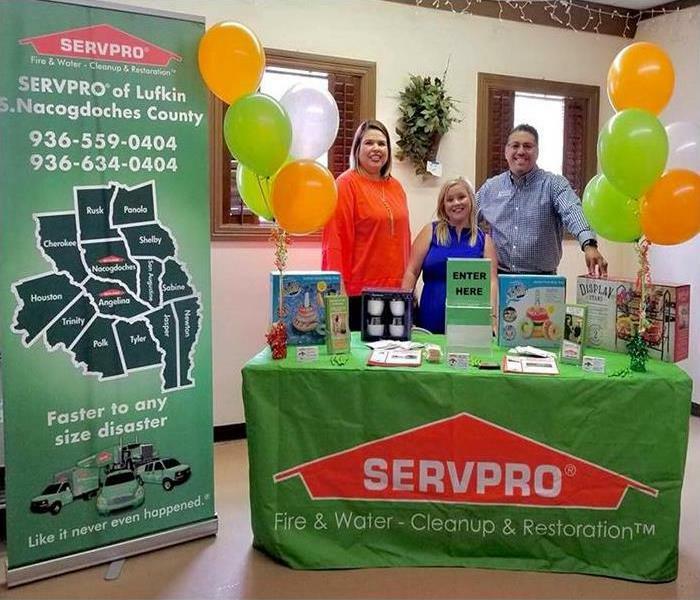 SERVPRO of Lufkin were just one of many vendors on hand to give away "goodies" to the and help kick off the year! Liz Murray, the woman whose story inspired the movie “Homeless to Harvard,” spoke to teachers from across Angelina County about their impact on students during a convocation Friday at the Pitser Garrison Convention Center in Lufkin. SERVPRO helped the Dragons start off their new year at Convocation 2016! 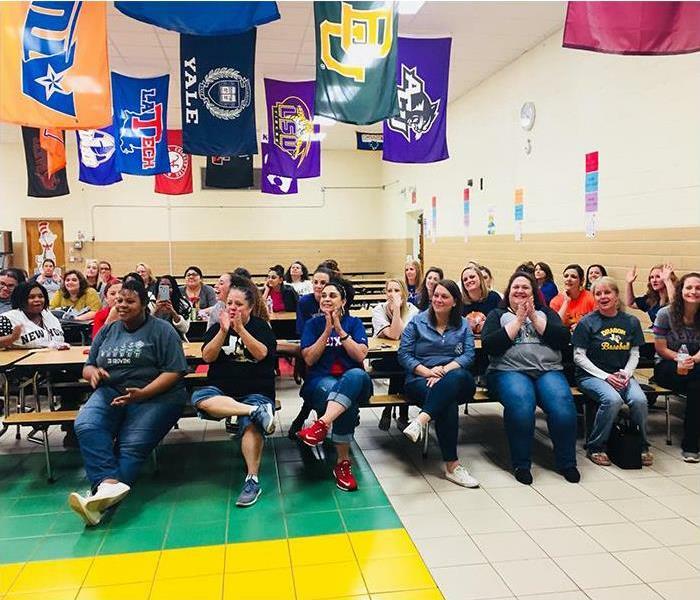 We are a big supporter of The Nacogdoches Independent School District, and this morning they kicked off this semester with their teacher convocation. Texas House of Representatives Trent Ashby was on hand for officer instalation for this years 2016 Piney Woods Apartment Association. 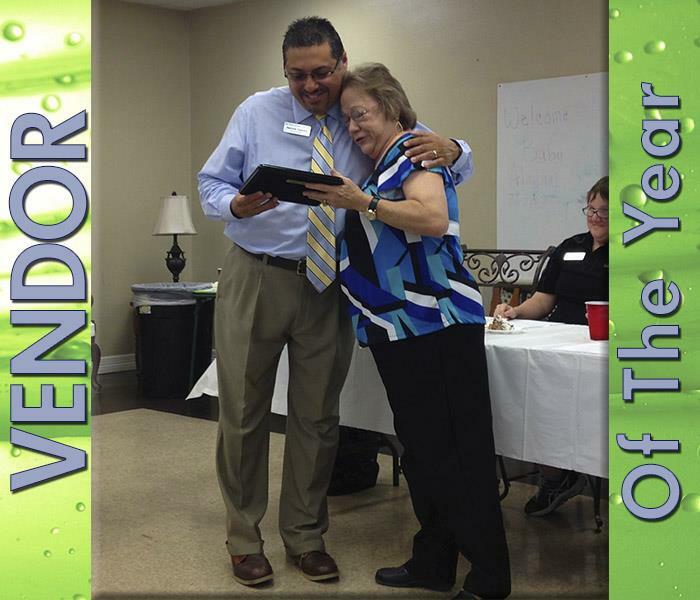 Patrick Castillo with SERVPRO was presented with the Charlie Tarver Vendor of the Year Award for 2015! This makes two years in a row we have received this prestigious award. 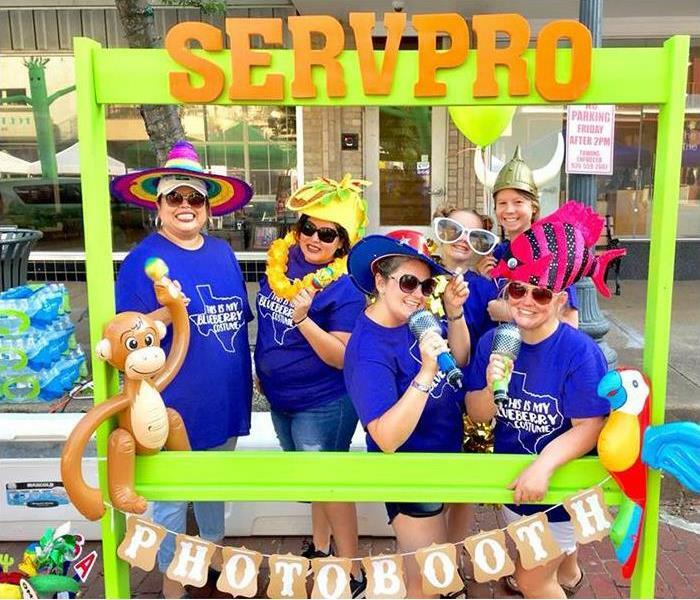 SERVPRO is happy to be part of the landscape again at this years 27th annual Texas Blueberry Festival. Nacogdoches Texas is the official blueberry capital of Texas and if you want a true blueberry experience, you’ve got to come to Nacogdoches. As always we appreciate any chance to support the Dragons. 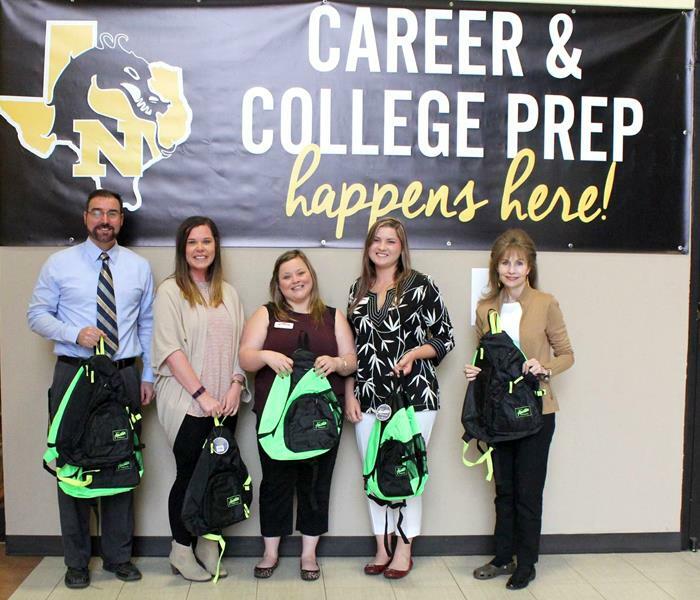 Dropped off 20 new backpacks for some appreciative Nacogdoches High School students. ?#?iamnacisd? 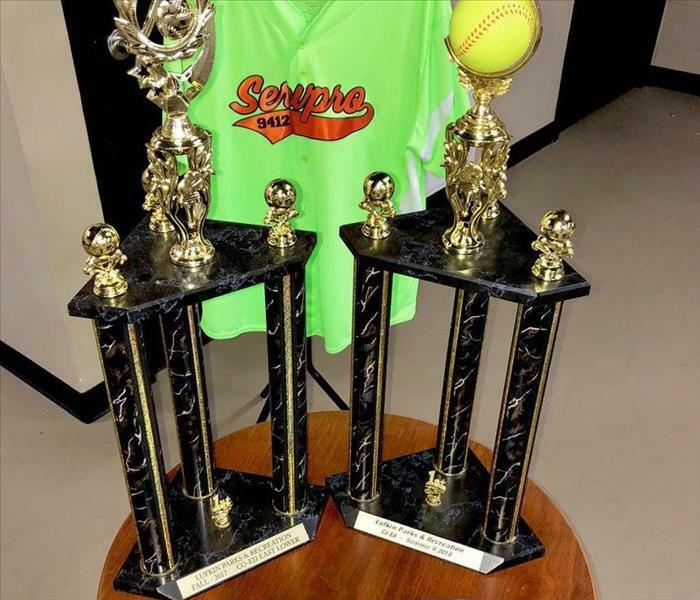 SERVPRO of Lufkin/S. 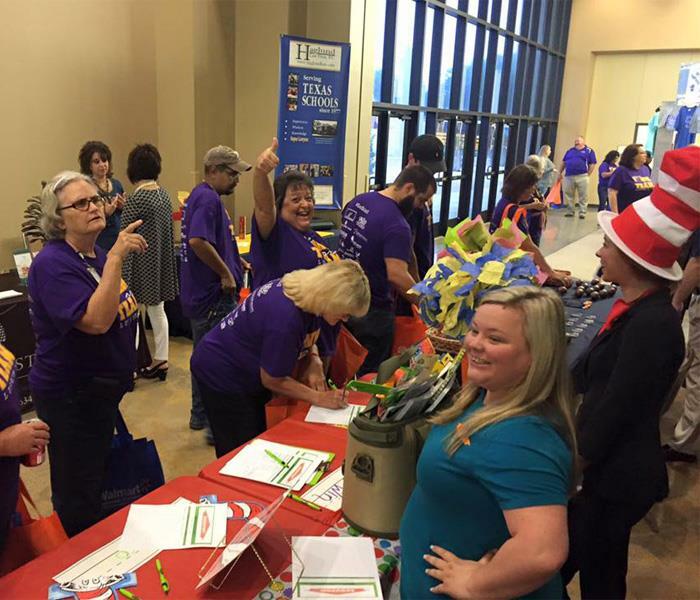 Nacogdoches County is happy to be a Grand Sponsor. 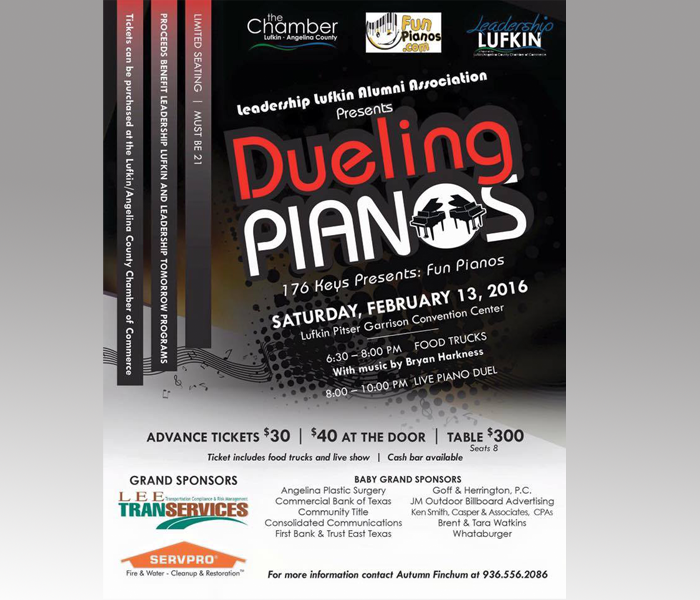 Thank you Leadership Lufkin Alumni Board for putting on this event. Looking forward to a GREAT night, see y'all there!!! SERVPRO Lufkin/S. Nacogdoches County offers both credit and non-credit courses for insurance agents, insurance adjusters and Real Estate professionals. The CE courses provide you with information to better service your customers. These programs are designed to improve the knowledge of your staff regarding emergency mitigation. 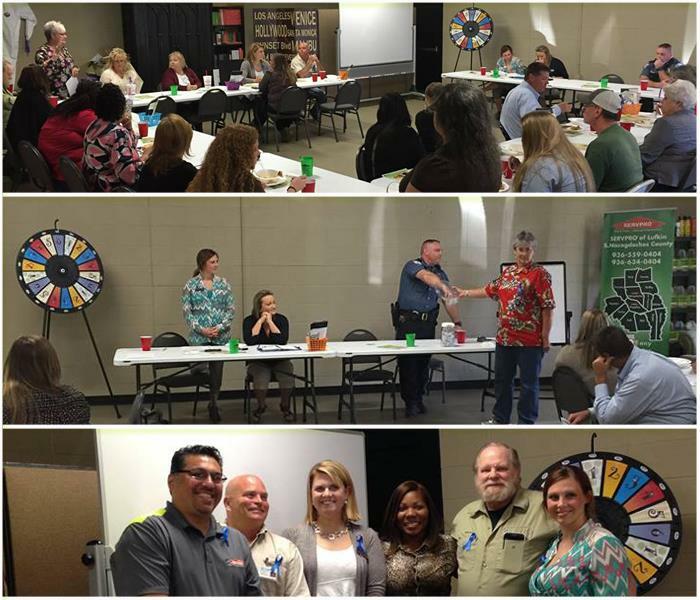 We are happy to host the Piney Woods Apartment Association luncheon today spotlighting "Texans Against Crime" . We were also pleased to present a donation to Amanda Johnson with The Helping House! 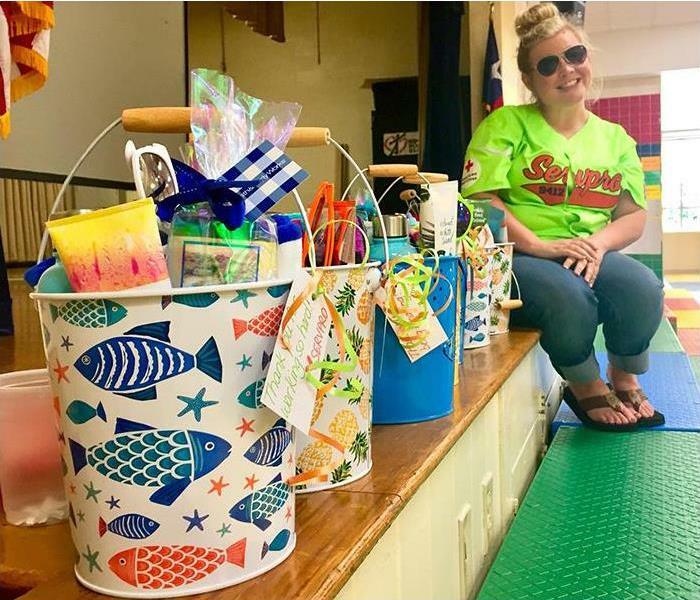 Congratulations to our Nacogdoches ISD Adopt-A-Teacher for the year WINNER "Lori Center " who teaches 2nd Grade at Carpenter Elementary!!! Thank you so much to Jennifer Enriquez and Olive Garden for donating dinner to a sweet family who has been displaced due to a fire. We are blessed to have such a wonderful and giving business leader in our community! Spreading Christmas Cheer for all to hear. 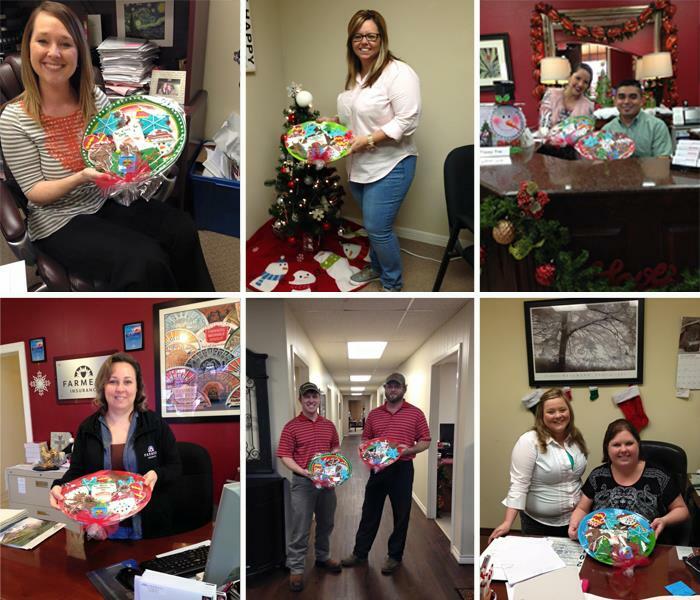 Taking care of the sweet tooth for some of our agents and adjusters. 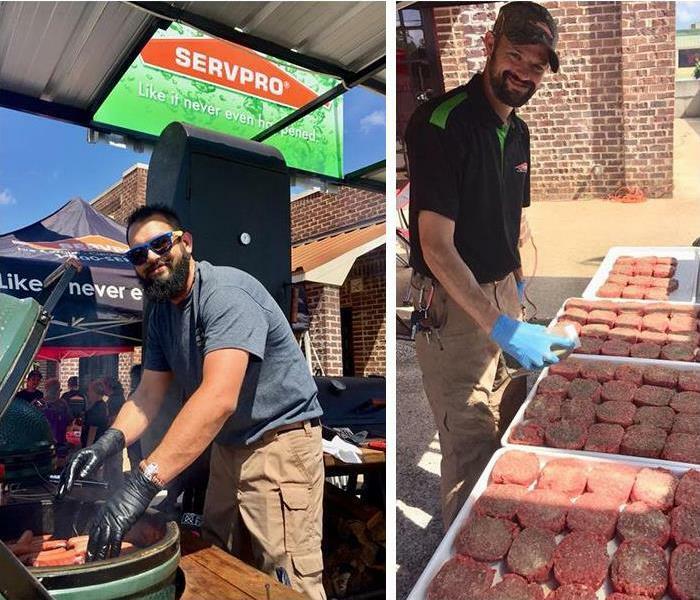 SERVPRO of Lufkin/S. 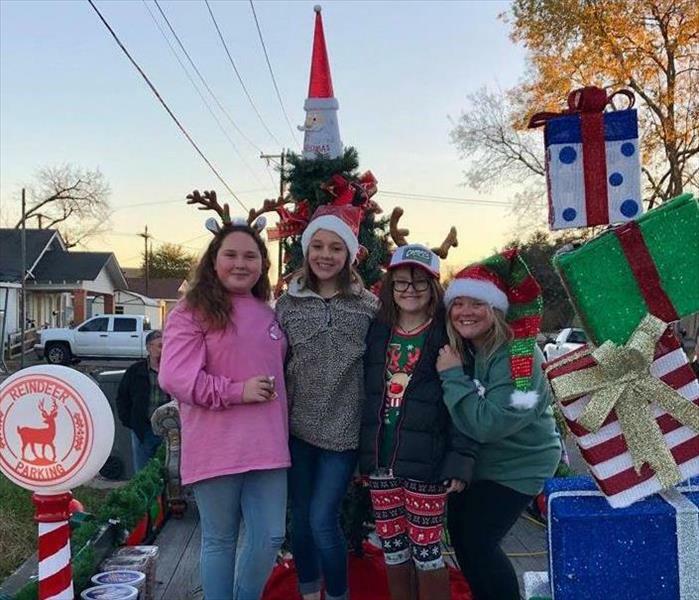 Nacogdoches County believes in giving back to our local communities. 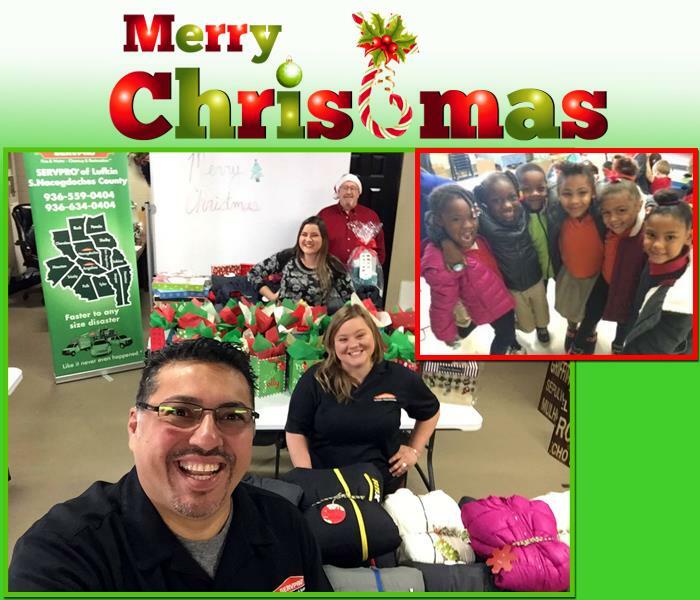 This year we are especially happy to help demonstrate the Christmas spirit with our adopted class at Carpenter Elementary. We are looking forward to seeing lots of happy smiling faces today!!! 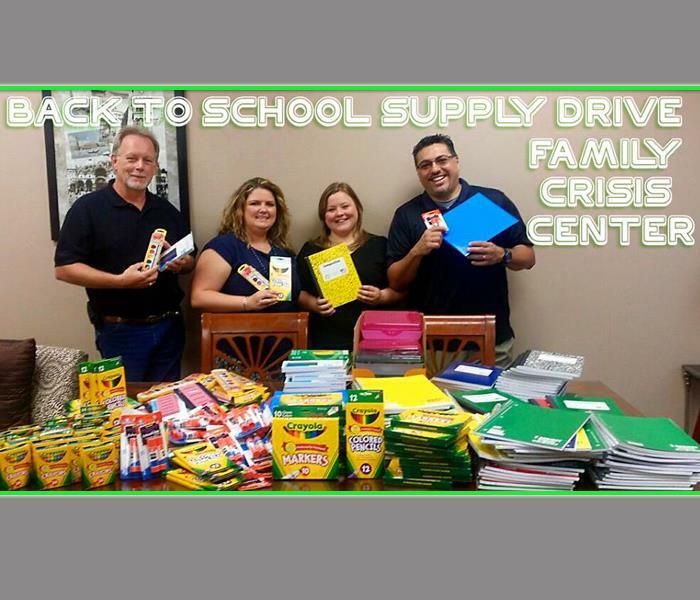 Happy to start our morning delivering school supplies to the Family Crisis Center of East Texas! 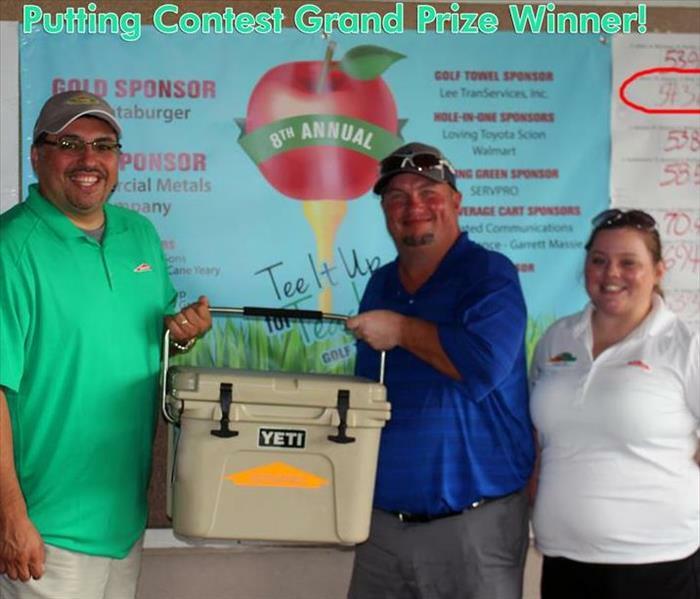 Over 50 contestants participated but there could be only one winner of the Yeti cooler. 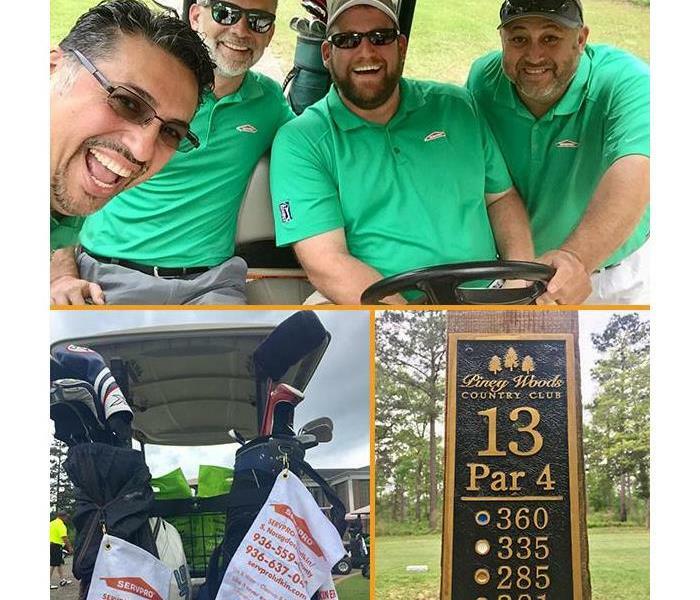 The Nacogdoches County Chamber's annual Blueberry Golf Bash accommodated 175 golfers in the tournament’s 18th edition on April 10 at Piney Woods Country Club. 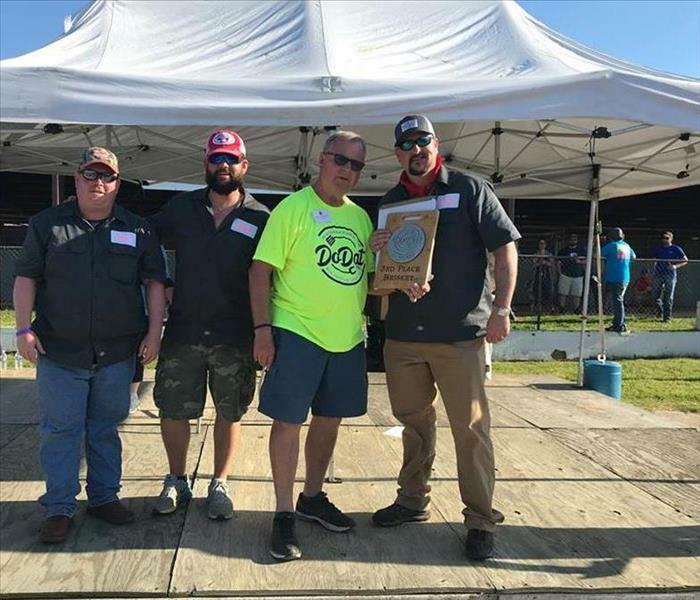 1st place Low Net Winner were SERVPRO® of Lufkin / S. Nacogdoches County, shooting a 46.8. 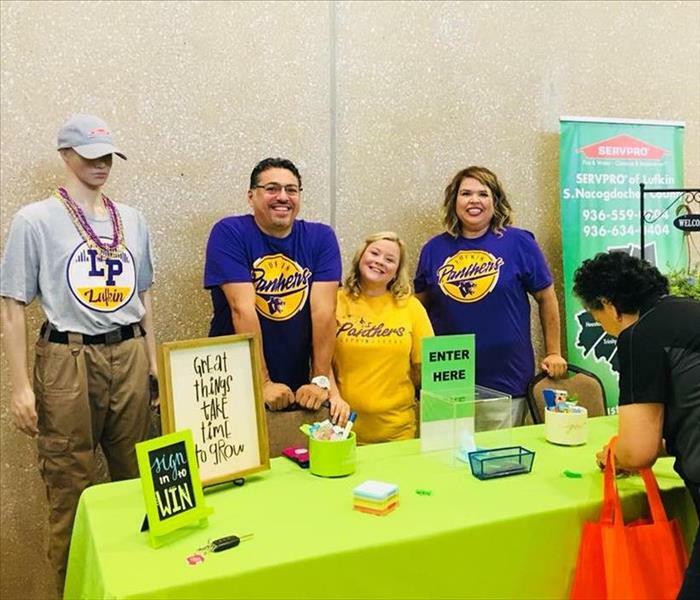 The Lufkin/Angelina County Chamber of Commerce hosted the four-person scramble tournament to raise money to provide training opportunities for teachers from the county’s six independent school districts. 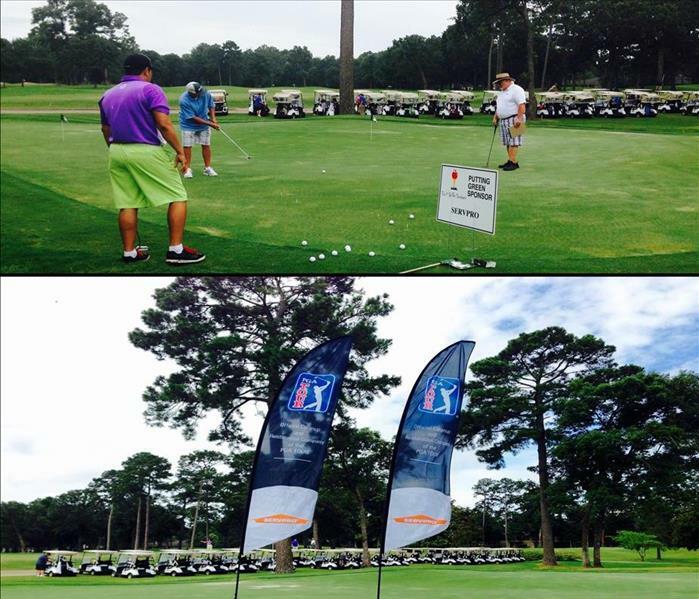 SERVPRO was the 2015 putting contest sponsor! 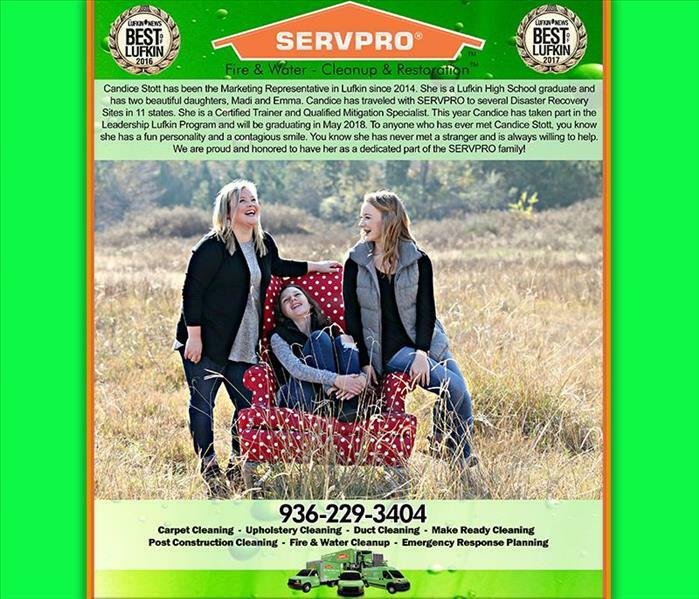 SERVPRO of Lufkin/S. 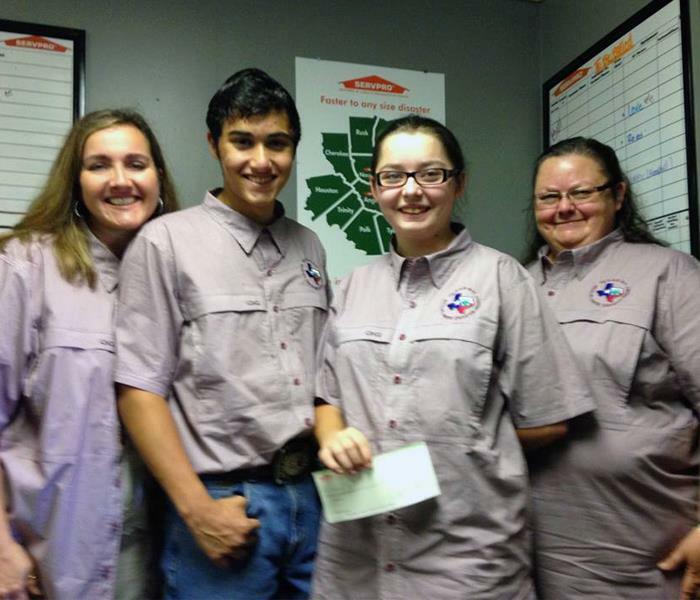 Nacogdoches County is proud to sponsor the Angelina County 4H Lone-Star WHEP team champs! Way to go team and good luck representing TEXAS at Nationals in Missouri!!! Great turnout for the 4th Annual Forest Country Job Fair! Hosted by Lufkin Economic Development, Workforce Solutions and the Lufkin/Angelina County Chamber of Commerce. April 23 at the Pitser Garrison Convention Center in Lufkin.